When it comes to speaker upgrades, the JL Audio C3-650 coaxial speaker set is one of our favorite upgrades here at Ocala Car Audio. This 6.5-inch convertible speaker set not only sounds great, but it can handle an impressive amount of power and offers excellent efficiency. Let’s take a look at the C3-650 up close. What are convertible speakers? In the case of the C3-650, the 1-inch silk-dome tweeter can be installed in the center of the woofer to create a premium coaxial speaker design, or the tweeter can be mounted separately from the woofer to create a component set. If you are upgrading your car or truck, we typically mount the woofer in the door and the tweeter on the dash, in the sail panel at the top of the door or in the A-pillar to improve the height of the soundstage. The JL Audio C3-650 includes a pair of speakers, a set of passive crossover networks and a set of grilles. 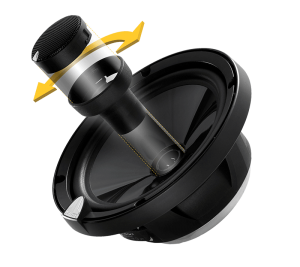 The woofer features an injection-molded polypropylene woofer cone that uses a mineral additive for added strength and thermal stability. The cone remains rigid, even at high volume levels. The tweeter in the set uses a 1-inch soft-dome diaphragm, and the kit includes flush and surface mounting accessories. As we mentioned, we love the way C3-650 set sounds. 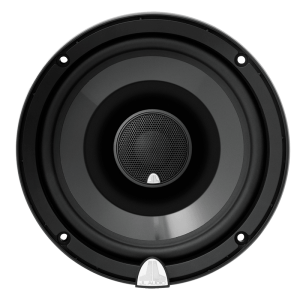 Midrange and high-frequency information is smooth and detailed, and bass response is solid for a speaker of its size. Because the driver is efficient (90 dB of output when powered with 1 watt and measured at 1 meter), you don’t need a lot of power to produce a lot of sound. This is one of our favorite upgrades for motorcycles — an application where speaker efficiency is crucial. Upgrade Your Sound System Today! If you are in Central Florida and are looking for an amazing upgrade for your sound system, drop by Ocala Car Audio in downtown Ocala and ask for a demonstration of the C3-650 set. We know you’ll be impressed! You can contact us by e-mail for additional information about any of our products or services.